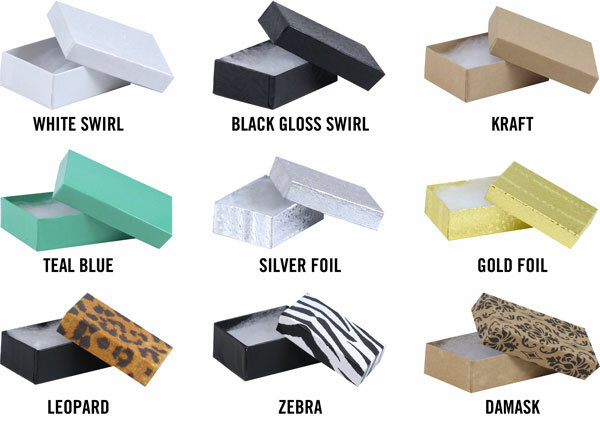 Two piece value priced jewellery boxes with cotton insert for charms, earrings, etc. Choose from a variety of colour and style options. 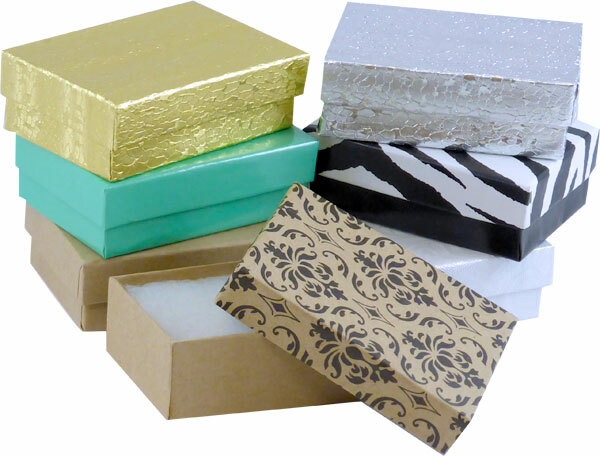 Note that the white jewellery boxes have a swirl embossment finish. Measurements: 3-1/16" x 2-1/8" x 1"